Mailchimp Tutorial – Learn about Campaigns, Landing Pages, Popups, Embedded forms and edit CSS for embedded forms. You may skip though the content using the content section list below. In this part you will get an overview of what to expect in this video. We’ll talk about what you are going to learn such as the new changes in how to create campaigns, Landing Pages and creating mailchimp popups. In this part of the video we’ll create a brand new campaign. We’ll learn about the interface change and see what’s different in the new process. You will then learn how to create a Mailchimp Template in readiness for your campaign. We’ll also look at other things such as how to store a template and reuse it in future. We’ll then move on to the next process which involves sending or scheduling the email campaign. You will learn how to schedule the campaign, or just send it immediately. Landing pages is a new feature in Mailchimp. 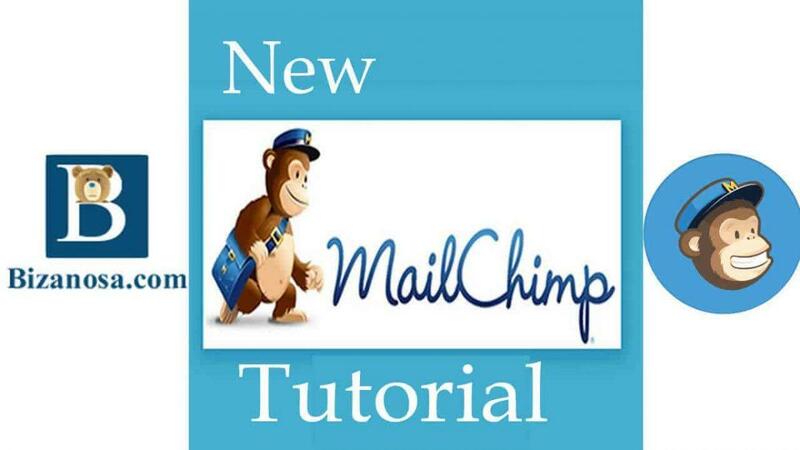 In this section of the video you will learn how to create Mailchimp Landing pages. Creating a landing page is so much like creating an email Template. You will learn how to create and share your Landing page with your audience. Mailchimp popus are one of the most popular Mailchimp features. You will learn how to create a modal popup , slide in popup or exit intent popup for Mailchimp. After creating the popup you will learn how to embed it on your website. #5 The create button in Mailchimp Menu : 01:00:51 This is a short section about the grey ‘Create ’ button which is clearly visible on the Mailchimp menu. You will find out what it does. #6 Edit CSS of embedded Mailchimp form : 01:01:16 This section is for anyone with some CSS skills. Anyone who would like to style their embedded Mailchimp form. You will also learn how to embed a form on your website.